Planning a kid’s birthday party is never easy. The inherently present challenges. And when you want to make a big impression on your little princess for her birthday, every detail matters. But your sanity and your budget don’t have to suffer. 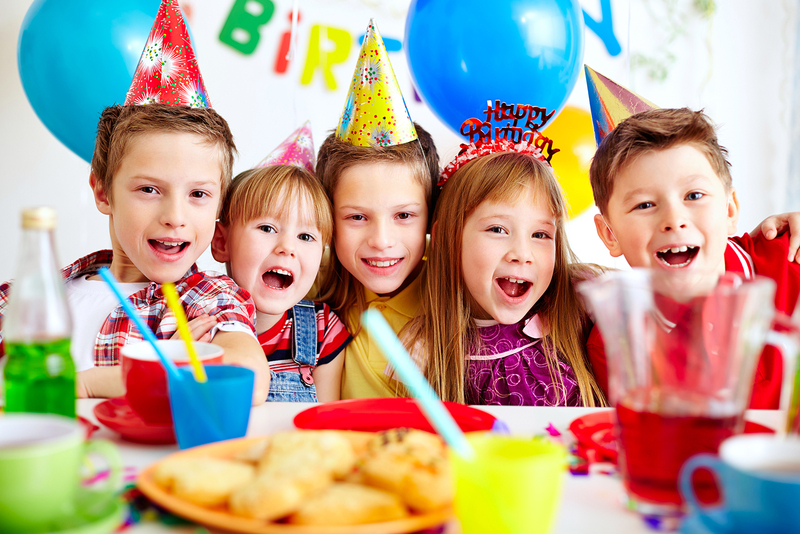 There are plenty of ways to avoid the common challenges to throwing a good kids birthday party. The first step to success is knowing what those challenges are before they become a problem. The Problem: Kids want stuff. A lot of stuff. Especially for their birthdays. And that means you have to fork over a lot of dough to be able to complete their vision for their birthday. But, you need to think about the bigger picture, too. So how do you make it a birthday bash they will always remember without going bankrupt? It won’t take a miracle, we promise. The Solution: You probably don’t realize how many things you already have laying around your house that would make great decorations, games, you name it. Get creative. If you don’t have anything laying around your house, you can get some inexpensive, fabulous finds to create a DIY masterpiece. Don’t have the DIY knack? You probably know someone who does. Invite them over to create a few simple themed masterpieces. If all else fails, reuse old decorations and add a new spice, or ask friends for their old party decorations. The Problem: You gave clear instructions on how and when to RSVP, yet, only half of the invite list has done it. How on Earth are you supposed to know how much food to prepare, how many drinks to buy, or how much space you’ll need? You don’t want to come off as a nag and keep hounding people, but you sort of, kind of need to know. The Solution: Our advice to you? Don’t worry about it. Do your best to estimate and forget the rest. Chances are, about 20% of people you invite won’t show up. Using a 30 person example, 20% of 30 is 6. So you should plan for 24 people in attendance at the party. Use this 20% rule as a guide to make the food, buy the drinks, and plan the space. If there is some food left over, great! If there isn’t, nothing went to waste. Nobody will blame you if all the chocolate chip cookies are gone before they had a chance to have one. They’ll just be sorry they weren’t quicker to the punch. The Problem: Party planning can be a huge undertaking and it can become overwhelming fast. Where do I start? What day should I choose? Where should I have it? When should I mail out the invitations? You don’t want to do something the wrong way and ruin the whole party, but you don’t really know what you’re doing to begin with. The Solution: Use the resources available to you. The internet, your friends, a party planner in the local area, another parent who seems to love party planning, whatever you have access to. You don’t need to suffer alone through the planning of each birthday party. There are tons of resources out there for you to use as guides no matter if you want limited involvement or “elbows deep” kind of involvement. The Problem: With all that planning going on, all those details to think about, and all the people you could potentially disappoint, there is no surprise that stress sneaks up on you. You start thinking how amazing it will be when the party is finally over. The Solution: Birthdays aren’t supposed to be about stress. To put the fun back into the planning process you’ll want to do two things: Simplify and ask for help. Simplify by focusing on the most important details first. And don’t try to outdo anyone, even yourself, if you know it will give you chronic headaches. Do what you can, and compensate for the rest by having some great activities for the kids to play. Asking for help is a wise move, too. If you need it, ask. There is someone you know who will be more than happy to jump in and help in your time of need. Sharing that party planning burden can make all the difference. The Problem: Decor, goody bags, invitations, oh my! Details seem so important when you’re in charge of planning a great party. But it just seems like planning the details eats up all your time and your sanity. And, of course, we can’t forget about the fear of leaving important details out. What a nightmare! The Solution: Kids don’t care all that much about details. They just want to have fun. So, trade out the details for more fun activities like scavenger hunts, tea parties, and musical chairs. Your kids won’t even notice the streamers you used were at last years party. If we’ve learned anything about throwing a good kid’s birthday party its that there are plenty of challenges to look out for. You can easily get swept up in the chaos of party planning if you’re not careful. But if you make the conscious decision to do your best and forget the rest, you will see that everyone–including yourself and the birthday girl–are a lot happier. Avoid all the stress and hassle of throwing your kid’s birthday. Check out our great birthday party tips or let us take care of everything and book your party at BounceU. Agreed. Parents come up with all these challenges while planning a birthday party for their kids. Hiring a birthday organizer would be wise decision for a successful birthday party. Thanks for sharing! Thank you for sharing this great article i hope its work to me and its helpful.